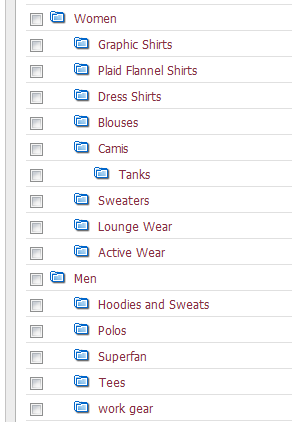 Bulk loading of categories is a new feature in the latest 3.7x versions of the cart. You can build a .csv with the required information and load all of your categories at once. You will need to build your categories before products can be added. Here is an example of the fields in a .csv file. In the admin area please navigate to the Categories & Products icon. In the drop down menu select the Bulk Category Loader. You can select the delimeter, if you would like the categories to be available, and browse for the correct .csv file.